The Samajwadi Party, Janata Dal-Secular, Rashtriya Janata Dal and Sharad Yadav's Loktantrik Janata Dal, which will merge with the RJD after the Lok Sabha polls, were some of the parties formed on socialist ideology. In a blog to mark the 109th birth anniversary of Lohia, PM Modi said Lohia would be "proud" of the NDA government led by the BJP for following his ideas. 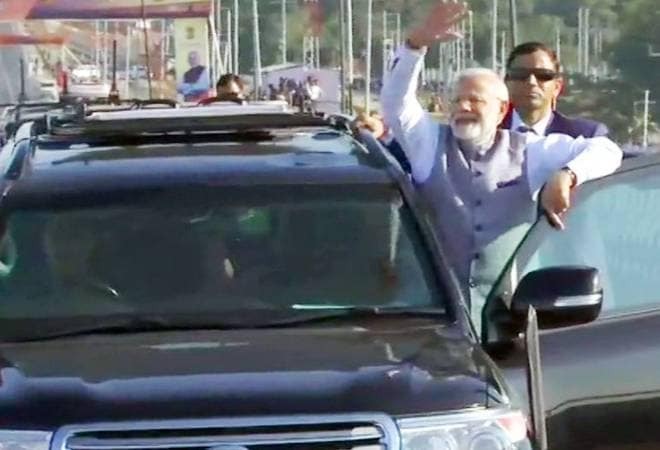 Prime Minister Narendra Modi Saturday dubbed as "reprehensible" efforts of regional parties to form a grand alliance with the Congress, saying socialist ideologue Ram Manohar Lohia would be "horrified" as most of these parties claim to be his followers. In a blog to mark the 109th birth anniversary of Lohia, Modi alleged, "Today those parties that falsely claim to be Dr. Lohia's followers are desperate to form an opportunistic 'maha-milawat' or adulteration alliances with the same Congress (which Lohia opposed). It is both ironical and reprehensible." "Dr Lohia's thoughts inspire us. He wrote about modernising agriculture and empowering farmers, which the NDA government is effectively doing through efforts such as PM Kisan Samman Nidhi, Krishi Sinchai Yojana, e-Nam, Soil Health Cards and more," he said in the blog shared on Twitter. Referring to gender inequality, the prime minister said nothing pained Lohia more than the caste hierarchy and inequality between women and men. "But neck deep in vote bank politics, it was parties that dishonestly claim to be Dr Lohia's followers that opposed the NDA government's move to abolish the inhuman practice of triple talaq," he alleged. Hitting out at the Congress, Modi said whenever Lohia spoke, the Congress "trembled with fear". He said Lohia had once claimed that during the Congress regime neither agriculture and industry nor the Army improved. "These words can accurately describe even subsequent Congress regimes, where farmers were harassed, industry was discouraged (except if they belonged to friends and relatives of Congress leaders) and national security was ignored," the PM wrote. Noting that anti-Congressism was Lohia's "heart and soul", Modi said, "Unfortunately, today Lohia would be horrified at the political developments taking place." Lohia always believed that dynastic politics was inimical to democracy. He would have been flabbergasted to see his 'followers' think about their own families first instead of the nation," he wrote. Modi alleged that these parties are "experts at grabbing power, looting as much as possible and exploiting others. Poor people, tribals, Dalits, OBCs and women are not safe in their rule because these parties give a free run to criminals and anti-social elements." He said people should realise as as to how can those who betrayed Lohia be expected to serve the nation. "Today they are betraying the principles of Dr Lohia, tomorrow they will also betray the people of India," Modi alleged.